Authors – Professor John Beckett & Dr Denise Amos. Coal has been mined in Nottinghamshire for many centuries, but for a long time this was simply surface mining. Coal was probably mined around Cossall and Selston in the 1270s. Certainly mining was taking place on a significant scale at Selston in the reign of Edward I. Mining at Cossall is again documented in the mid 14th Century. The Carthusian religious house at Beauvale had a particular connection with coal mining at Newthorpe, Selston and Kimberley in the reign of Richard II. 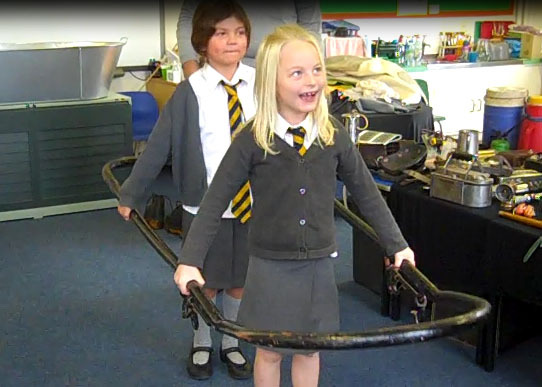 The idea of mining deeper, sinking shafts, making drains and using timber for props, gradually gained acceptance, including the use of the sough – a method of gravity draining. In part, this was encouraged in the Selston area by a ready demand for coal from Nottingham by the 15th century. Perhaps recognising this market, in 1457 the Priory of Lenton acquired from the Carthusians at Beauvale a portion of their coal at Newfield, on a lease for 7 years. The Cathusians retained an interest in coal mining until the dissolution of the monasteries, when they were making money from a mine at Kimberley and taking rent from another at Selston. From the 16th Century new methods of mining enabled work to take place immediately below the surface, but it remained the case that mines were shallow, and only coal quite close to the surface was worked out. Miners simply moved to another area rather than mining deeper, partly because there were plenty of easily worked surface seams and partly because the technology, particularly for draining mines of water, remained primitive. Mining developed towards the end of the 15th Century in an around Wollaton and during the 16th Century coal was worked both at Wollaton and Strelley. The mines were sufficiently profitable to creat tension between the Willoughby family of Wollaton and the Strelley family, who began mining around their manor of Strelley about 1540. Prior to the dissolution of the monasteries in the 1530s and 1540s, the Prior of Lenton had allowed Sir Henry Willoughby, then Lord of the Manor of Wollaton and owner of a mine within the Manor, to make a sough (a small draining chanel) from his own coal mines through various lands of the priory in order to remove water from the mine.At the dissolution the reserved rent was commuted to 12s a year and paid to the King by Sir John Willoughby. Subsequently the Willoughby accused the Strelleys of diverting water into their mines in an attempt to ruin their trade. 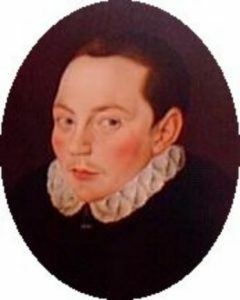 In the reign of Edward VI (1547-53), Henry Willoughby sought permission to make a new sough on land owned by the King and previously the ownership of the Lenton Priory. In fact, in he was significantly greatly increasing the mining on his Wollaton land, and later Sir Francis Willoughby helped the finance the building of Wollaton Hall by selling coal into Lincolnshire, partly in return for the Ancaster stone, with which the Hall was faced. The Strelleys were less successful and by 1620 had mortgaged their mines to London merchants, who subsequently foreclosed on them.Nottingham Corporation funded some trial borings for coal on land owned by the Corporation in the 1590s and they were still hoping to find coal in the 1630s, prospecting on wastes and woodland in their ownership. 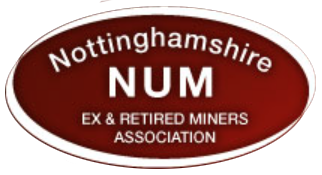 By the 17th century coal mining was one of the most important industries in Nottinghamshire with new mines opened in the Hucknall area. 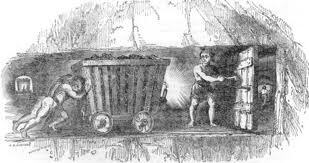 Most coal was sold locally to domestic consumers but efforts were made from the 17th century to use coal commercially. 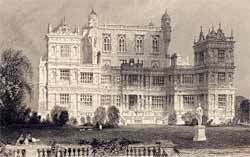 Glass works were established at Wollaton in 1615, the aim being to use local coal in the glass making process. The glass was to be sold on the London market. It was calculated that it would cost £1 2s 7d to sell a ton of Wollaton glass in London. The enterprise was not successful and closed by 1617. In 1601, the Willoughbys leased their Wollaton pits to Huntingdon and Nicholas Beaumont, father and son, on a 21 year lease. Two years later the Beaumonts also leased pits in Strelley which had been acquired in 1597 by the Byrons of Newstead. In 1604, Huntingdon Beaumont undertook to deliver 7,000 loads of coal to Nottingham annually, but meeting this target proved impossible. Beaumont’s financial backers pulled out in 1618. He was imprisoned in Nottingham for debt. This page was added on 26/06/2012.